I spent the plane ride from Washington, D.C. to Johannesburg, South Africa trying to convince myself that it was really happening. I’ve since spent 8 weeks working toward that realization which I can say with confidence I did not fully achieve until boarding the return plane. I’ve been lucky enough to visit Thohoyandou, South Africa and work at the University of Venda on identifying dual infection in HIV samples from Cameroon. HIV, which is a major problem all over the African continent, can be divided into 2 major groups: HIV-1 and HIV-2. The former is vastly more common, and can be further divided, eventually distinguished by subtypes A – K. Subtype B predominates in the western world, and C in South Africa, but Cameroon experiences circulation of almost all the subtypes and their circulating recombinant forms (CRFs) making it the ideal location for an analysis of dual infection, or infection by more than one subtype. High recombinant presence indicates high rates of dual infection because dual infection provides the necessary environment for genetic recombination. Though very few statistics regarding the rates of dual infection exist, Cameroon and other regions observing significant recombination are promising scenes to explore. My weekdays were spent in the lab amplifying Cameroonian samples for two genes, gp41 and the V3 loop of gp120, to be sequenced and examined for evidence of dual infection. Sequencing is the process of determining the exact genetic code of a DNA sample, and provides information on the protein formulation and their variants. These variants may be indicators of dual infection, and through their analysis I hoped to reveal the prevalence of dual infection in my selected cohort. I successfully amplified 54 samples for V3 and 41 for gp41. Throughout the coming semester, I will sequence them in detail and analyze those results, and the few that I have sequenced already show promising evidence of dual infection. The University of Venda students and faculty were so welcoming and helpful, and I know I would never have made any progress without their consistent support, as well as that from my lab back at UVA. 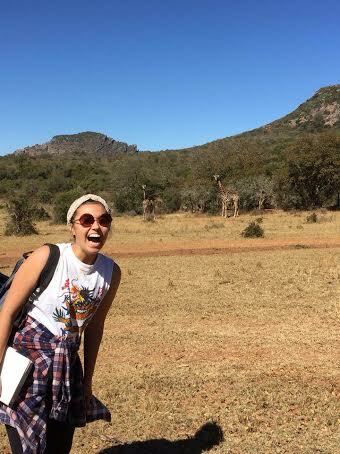 I stayed with a number of other American students, from UVA and otherwise, and we tried to maximize our weekends to see the most of South Africa in this short interval we can. 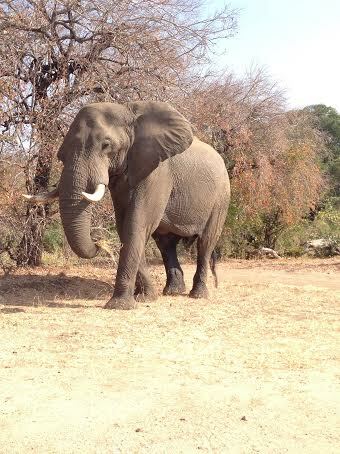 The first weekend we visited Kruger National Park, which is one of the largest attractions in the Limpopo Region of South Africa and home to all the quintessential safari wildlife I never thought I would see outside of a zoo or picture book. 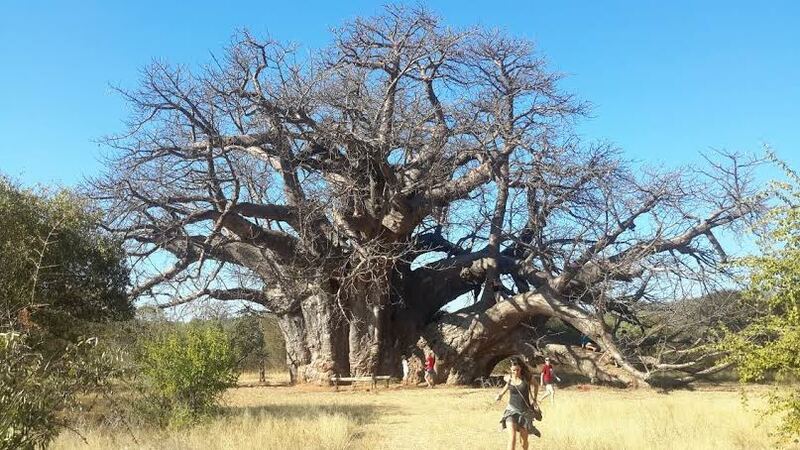 The next weekend we visited the largest tree in Africa, the Big Baobab, which was over a thousand years old. We also explored Leshiba National Park, famous for its outstanding rhinoceros population, and Magoebaskloof, a small mountain town with gorgeous scenery and nature walks. Between my weeks in Thohoyandou and weekends exploring the Limpopo province I was able to feel very acquainted with my home away from home by the end of my 8 week stay. The opportunity to study the discipline that matters to me in a place where I could personally observe its effects while expanding my cultural horizons has been incredible. I know I couldn’t have had the same experience in the United States, or anywhere besides Thohoyandou. Ndi masiari from Aubrey and Alice in Thohoyandou, South Africa! Siobhan climbing the hospital’s water tower. Tammy and Kyle taking measurements of the hospital’s roof. One Saturday Morning, the UVa-GI team members hiked La Muela. Marcos and Felipa with the help of local women inserting the 100 lb bags of sand.